Installation: Attach magnetically to single-wall flue pipe. Best placement is approximately 300mm (12") above the top of stove. 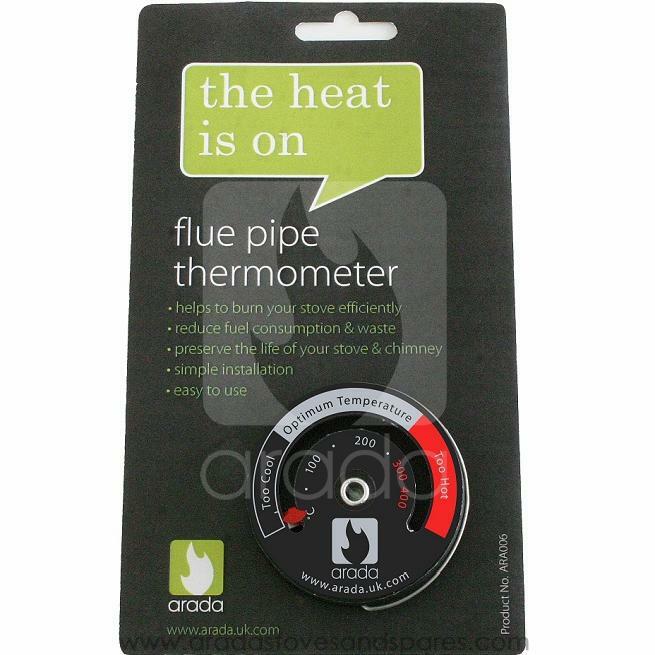 If exterior stove pipe temperature exceeds 400°C (800 degrees Fahrenheit), magnet in thermometer can fall through and burn floor. To avoid this, drill a small hole in flue pipe to place safety screw through eyelet in middle of thermometer, or secure around stove pipe using a wire through the two small holes on the side of thermometer. The folding handle bail permits you to move the thermometer safely when on a hot surface.